What curtains do we recommend? Although you can use Uni-Q tracks & accessories with any style of curtain, we recommend U-Pleat - our very own brand of stunning curtains. 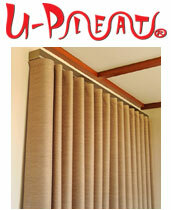 Ask for U-Pleat in store today!